The last 48 hours have been glorious. This Sunday, we didn’t go to church. We got to be the church. Friday, I got home in time to see my husband out the door and spent the rest of the day doing stuff. We will assume that it was important stuff because I did it. And mom’s don’t waste time on unimportant things, right? It probably had something to do with laundry. I do remember something about chips and guacamole for supper, and a glass of wine while we watched a movie for the 236th time. Yes, of course it was a Harry Potter movie! Saturday I was on fire! I cleaned things. I cooked a big lunch. I started a demolition project in our laundry room, I unpacked two boxes, I outsmarted The Padawan to get him to jump on the trampoline (with the help of his competitiveness and The Owlet who thinks she’s the best — at everything). He was insisting that he was only tired while I knew he needed some input. I did the dishes and swept the floor and had time to knit a few rows on a scarf that I started back in 2013. After supper, The Padawan and I played video games. According to my fitness app, I burned 876 calories playing Just Dance 3 jumping around and waving my arms randomly to disco and 80s music. Today, like most drill weekends, we ended up not going to church. Our schedule just isn’t going to be normal right now and I’m learning not to compare myself to people with 8 to 5 days and regular work weeks. I also had a dream conversation with The Hunter about staying home. Apparently, that never actually happened. I’m not the only one who does this, right? And, Yes! Yes, they do. I ran to the store to get butter for our corn on the cob — came home with key lime pie ingredients. What!? But that trip to the grocery store taught me some things other than that I can come up with the right ingredients for key lime pie on a whim. 1) If you skip church and go to the grocery store in a biker t-shirt and messy bun and head band, church ladies may give you that unsmiling head to toe look that isn’t because they are blinded by your brilliant white legs. I wear shorts in public about two times a year y’all — white as snow. 2) My family REALLY likes key lime pie! 3) There are days that spending the first few minutes of our limited family time together talking about Jesus is the best church we can ever be in. I sincerely believe in the need for corporate worship and service. Most Sundays, our kids are in Sunday School and we are worshipping and listening to the sermon. However, our schedules are intense right now. We have very little time together as a family. It’s rare and special when we are all home and awake at the same time. So, today, in our great mission to be the church, we took time to nurture our children. We used an opportunity to build them up so that they will understand their true purpose in life is to follow Jesus and know that he will take care of us. It was amazing and spontaneous. And most importantly, it never would have happened if we had been doing the Sunday Morning Scuffle trying to get out the door. 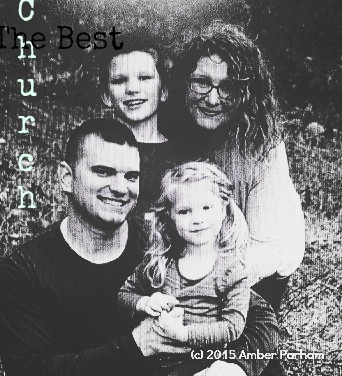 Have you ever had to choose to spend time or serve together as a family instead of “going to church”? What did you do? A year to find my place. 12 months that I never once searched the internet for a job.